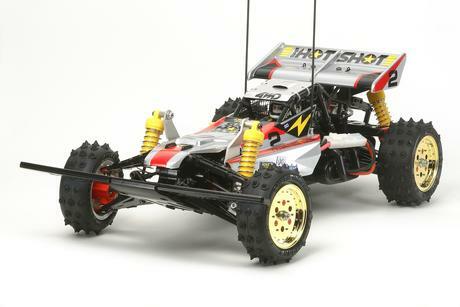 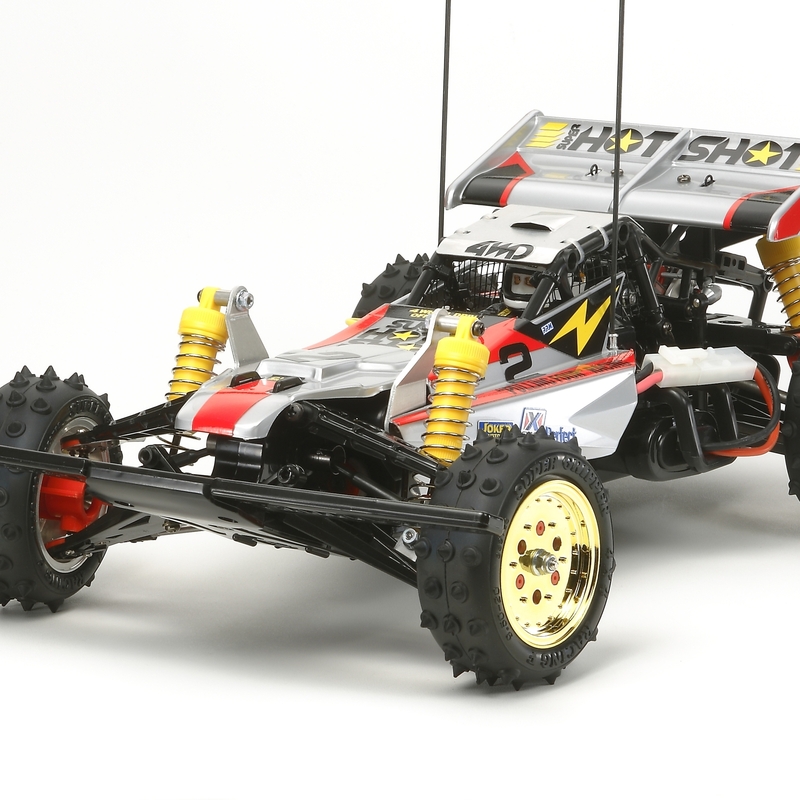 Tamiya originally released a special version of the R/C 4WD racing buggy Hotshot in 1986. 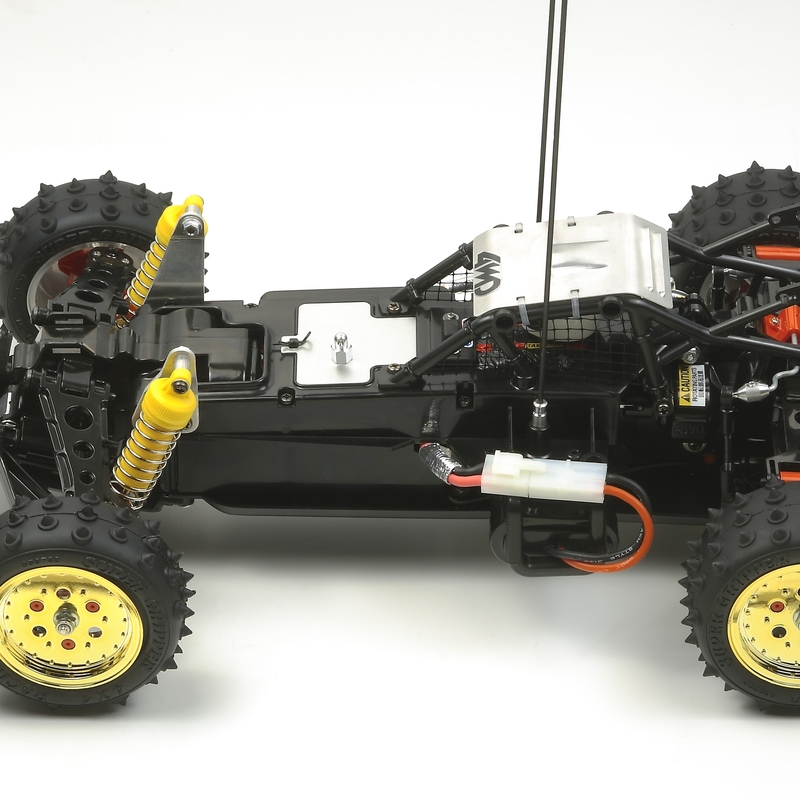 This famous machine is set for a return as the Super Hotshot and features modern improvements while keeping the basic layout of the original. Distinctive external features such as the stylish silver body and rear wing, yellow oil dampers, and spiked tires with gold metal-plated wheels have also been kept. 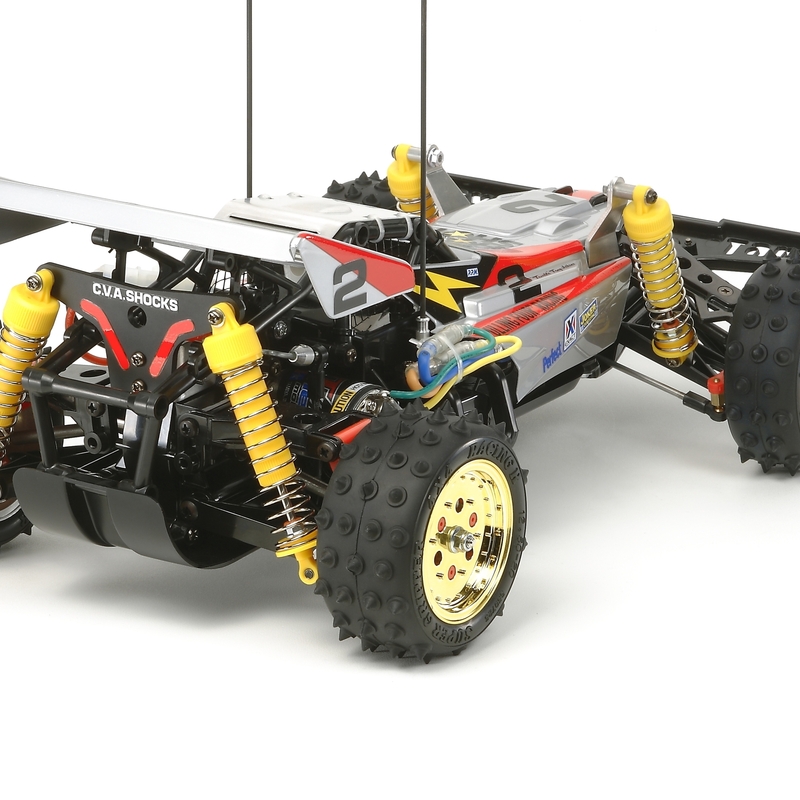 The chassis maintains original features of the Super Shot, including the durable ABS monocoque frame, roll cage, and under guard. 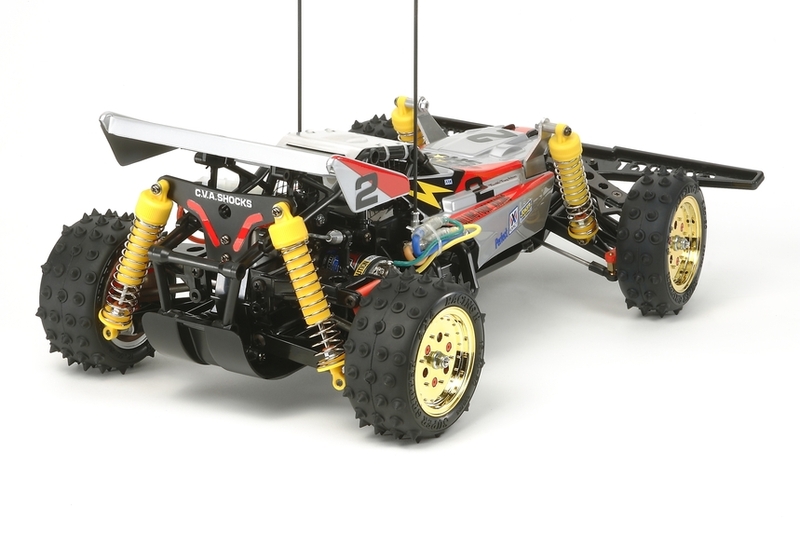 At the same time, full ball bearings minimize friction loss as power from the horizontally-mounted motor is transmitted to all four wheels via dog-bone type drive shafts. 4-wheel double wishbone suspension is equipped with oil dampers which allow 3 adjustable spring tensions to match track conditions. 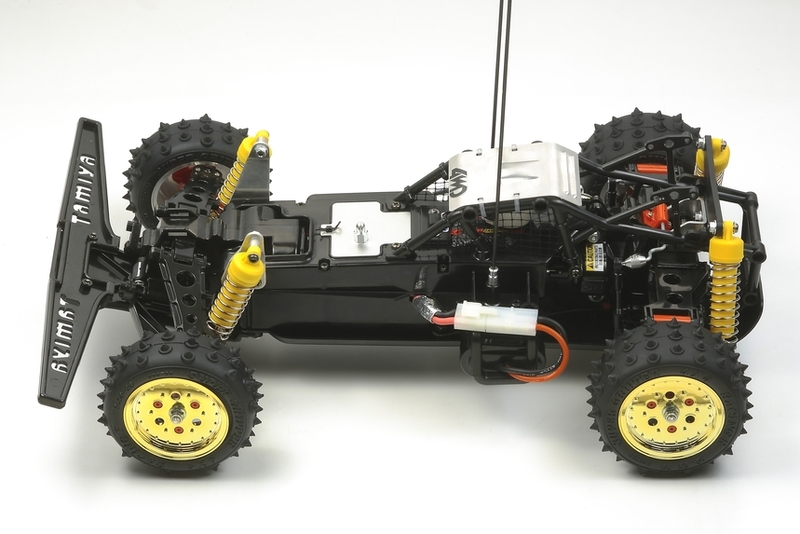 In addition, a GT-Tuned Motor (25T) provides plenty of power for dynamic off-road driving.